Jennifer McMurrain: Scotland/London ~ Day 8 ~ Holy Chocolate Chaos, Batman! Scotland/London ~ Day 8 ~ Holy Chocolate Chaos, Batman! Day 8, my final day of vacation. Both Mike and I are completely pooped from our marathon sightseeing the day before, but we are not the types to waste a day in a foreign city... we just wasted half the day. Embarking from our hotel room at the crack of noon, we decided to check out Piccadilly Circus. I had been told a number of things about Piccadilly Circus, there are a lot of shows there, it's like London's version of Time Square, lots of shops, and there are street performers. That last thing was the main reason I wanted to go... there were no street performers. There was however a M&M store. 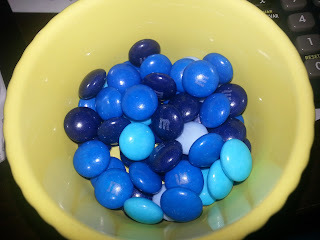 Now our good friends, Shawn and Melissa, told us about their visit to the M&M store in Las Vegas and how cool it was, so we decided to give it a try. People were everywhere. Now I like people in general, but I don't like people getting in my space. Especially, when I'm wearing a sweater with a thermal shirt underneath it (I did not dress for indoors). I was hot and did not appreciate all these people elbowing their way in to get some Royal Mix (grey, purple, white and gold) M&Ms. But we were in the M&M store, so we felt obligated to buy some M&Ms... I mean they had to taste better we were at the M&M STORE! Mike grabbed some dark chocolate peanut, while I grabbed some Ocean Mix of milk chocolate and some Royal Mix Milk Chocolate Peanut ones. We made our way to the counter where we handed over 19 pounds (about $30) for M&Ms... that's right $30 dollars for M&Ms, folks! And you know what? They taste exactly the same as regular, bought at Walmart, M&Ms. You know what else? 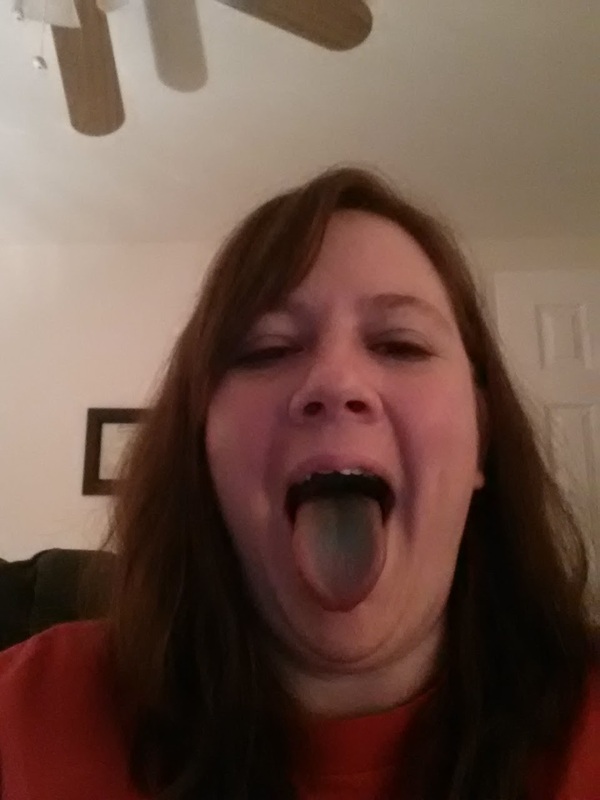 If you eat enough blue M&Ms, your tongue will turn blue.